This is actually Malaysia's most populated island. 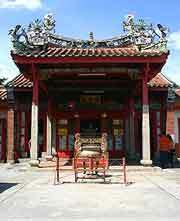 It is part of the Penang state, which includes the mainland. Historically, the island is said to have been settled by the now-extinct nomadic Semang-Pangan hunter-gatherers of the Negrito tribe, while there is also evidence that prehistoric humans settled on the island as far back as 4,000 years ago. Penang's history is closely linked with the Malay Sultanante of Kedah, which was an ancient Hindu-Buddhist kingdom, until its king converted to Islam in 1136. During the 15th century, the Chinese navy landed on the island and trade began between Penang and China. A century later, the English ship named the Edward Bonadventure arrived on the island's shores, only to set sail again three months later. English trader Captain Francis Light arrived here in 1786. By then, the island had been leased to the British in return for military protection from Burmese and Siamese armies, who were threatening the state of Kedah. The island was renamed the Prince of Wales Island, although this name was not to last. Light would play an important role in Penang's history, as he established the island as a free port in order to gain an advantage over Dutch trading posts located close by. He also encouraged people to move to the island by offering land and wealth. He was, however, to die of malaria, as did many others on the island, which led to the undesirable nickname for Penang of 'the white man's grave'. Penang became a penal settlement in the middle of the 1790s, when more than 600 convicts were moved from the Andaman Islands. The island then became a separate presidency during the next decade and would continue to be the home of the Straits Settlements' government after Malacca and Singapore were incorporated into it in 1826. 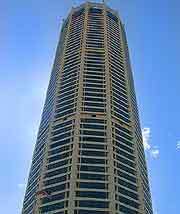 However, three years later, Singapore was made the seat of the government and the Settlements' new capital. Large numbers of Chinese immigrants flocked to the island at the beginning of the 19th century. 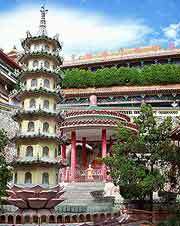 Penang was a British island garrison at the time of World War II and suffered many heavy air raids. On 17th December 1941, Japanese forces finally gained control of the island. Georgetown, the capital, was declared an open city and its British occupants withdrew to Singapore. It was a devastating time in the history of Penang, since there was widespread hunger and fear, as well as regular massacres targeting the Chinese population. The Penang Secretariat building was also obliterated during the war, resulting in many of the island's historical records being lost and, consequently, making it more difficult to compile accurate details of Penang's history. The British eventually gained repossession of the island in August of 1945, after the surrender of Japan in the war. In the aftermath of WWII, a growing nationalism took hold in Malaysia and Borneo, eventually leading to armed resistance against the British. In an effort to end the insurgency, Britain responded with military and political action. It attempted to form a single government administration for the whole of the Malay Peninsula, known as the 'Malayan Union.' This was adamantly opposed by the people of Malaya and eventually led to the formation of the Federation of Malaya. Penang did, however, attempt to remain independent from the Federation, although was unsuccessful in its efforts. The island, with the rest of the country, was granted independence in 1957. In 1963, Penang was one of the member states of the newly formed Malaysia. Its free port status was taken away in 1969 but, nonetheless, it would still develop into one of Asia's largest electronics manufacturing bases over the next three decades. Both the northern and western coasts were struck by the Indian Ocean tsunami on 26th December 2004. The island didn't suffer the casualties of other countries, but the disaster did result in around 50 deaths. Today, tourists can easily spot the history in Penang, as it is marked by its plentiful colonial buildings, fortifications and old Chinese shophouses in central Georgetown.